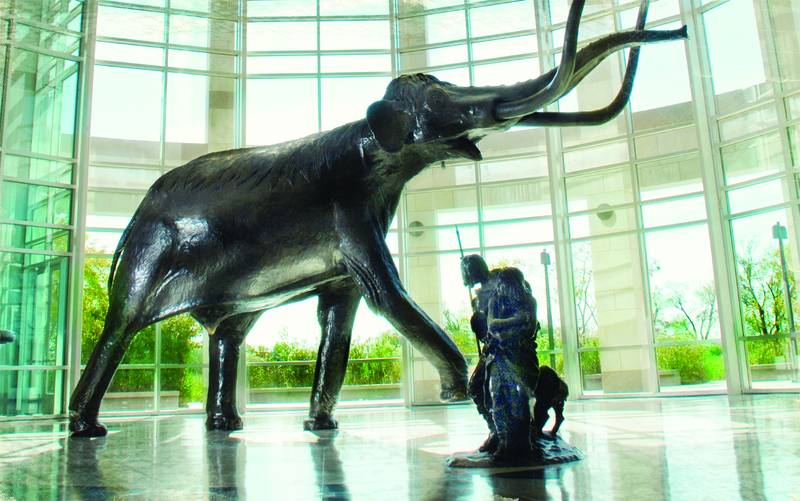 Six breathtaking galleries give you an in-depth tour of more than 500 million years of Oklahoma's fascinating natural history. Explore Oklahoma's indigenous people, native landscapes and dinosaurs including the worlds largest Apatosaurus and a Guinness-World-Record-Holding Pentaceratops. Then enjoy the hands-on exploration and fun of the discovery room. The Special Exhibitions Gallery offers several traveling exhibitions through the year, so there is always something new to see. Admission: $8 adults (18-64), $6 seniors (65+), $5 youth (4-17). Admission is complimentary for children 3 and under. It is also open Labor Day, Martin Luther King Day and Memorial Day. Group tours, event rentals, educational programs and birthday parties are available. Please check the website for information on special exhibitions, events and programs for children and adults. Open Monday-Saturday 10 a.m.-5 p.m.; Sunday 1 p.m.-5 p.m. (Closed Thanksgiving, Christmas Day, & New Year's Day).